A big THANK YOU goes out to both Diamondback and Ram-Lin for allowing our guys to tour their facilities and train with their people! We can’t say enough about the impeccable quality and amazing customer service that comes out of both these facilities. Be sure to ask your WFM Sales Rep how you can start a partnership with both Diamondback and Ram-Lin! Congratulations go out to our own James Dade and Hayes Ragan for being chosen as a part of Boating Industry's 40 Under 40! Boating Industry’s annual profile of outstanding young leaders in the marine industry highlights a unique group of individuals that stands out from their industry peers. We couldn't agree with them more! 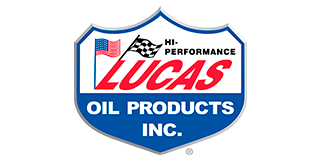 We are excited to announce our newest partnership with Lucas Oil, a world renowned global lubricant and additive company! We feel that Lucas Oil's reputation for a premium product and commitment to customer satisfaction is a perfect fit for our agency. Your WFM Sales Rep will be introducing you to Lucas Oil's products during their next visit. Thanks to Joel Bartlett of DECKadence Marine Flooring for visiting our Nashville office today, and spending time with some of our team! FELL Marine is proud to announce that Brian Latimer has joined FELL and will be representing their MOB+ product line, a wireless ignition‐shutoff system, with the competitive bass community. The Canadian Safe Boating Council has recently awarded Fell Marine the Marine Industry Safety Award for their MOB+ wireless man overboard system! Watch the video below and you'll quickly understand why. Fell Marine's market leading MOB+ system is an innovative ABYC compliant system that is quickly becoming the new standard in wireless engine cut-off devices. It consists of an easy to install HUB (mounted on or near the boat console) and a wearable FOB. Up to four FOB's can be connected to the HUB at the same time. A patent pending wireless protocol (WiMEA), ergonomic design, and high-quality marine grade components make it an extremely reliable and affordable unit! We are excited to announce our new partnership with FIAMM Technologies, the world's leading horn manufacturer! FIAMM's reputation in the marine industry for quality and service is second to none, and we are honored to have them as a part of our team. Ask your WFM Sales Rep how to upgrade your horns with FIAMM! We are excited to announce our new partnerships with four innovative marine product manufacturers in 2019! DECKadence Marine manufactures engineered marine carpet. EMC is a unique combination of soft synthetic PVC strands developed specifically for the marine industry. It is installed in minutes, requires no adhesive and water flows right through it! DECKadence Marine’s EMC hoses clean and delivers unparalleled comfort, beauty and durability. Watch the VIDEO below and discover the future of marine flooring! Diamondback Marine and Ram-Lin offer a unique partnership to our agency and our customers. Diamondback Marine manufactures towers, t-tops, leaning posts and other small accessories, with an intense focus on quality and superior customer service. Their process consists of initial project conversation, engineering involvement, prototype manufacturing and approval. Your items will be packaged and shipped right to your door…on time, every time! Ram-Lin offers metal fabrication, coatings, final assembly and inspection of Diamondback Marine’s products during and after manufacturing. These two companies offer one incredible VALUE to our customers! Congrats to Gator Guards for winning the 2018 Paddling Magazine Best Paddling Accessory award with their Gator Patch product! This repair patch is a quick fix for a permanent solution, repairing almost any surface, moldable around flat or curved areas, dents joints or angles. Did we mention it cures with UV light in under an hour? We are excited to announce that Hill Lenderman has purchased William F. Miller & Associates from Mr. Joe Miller! Hill joined the agency in 1997 and has served on the agency’s Board of Directors since 2010 and as President since 2015. Joe Miller, former owner of William F. Miller & Associates, adds “Hill Lenderman and his team have led William F. Miller & Associates to new heights with a well-crafted plan and an expanded team for the past several years. He now has the equity he deserves. I am proud of Hill.” Joe will maintain an active sales role in the agency, traveling all territories throughout the year. Congratulations goes out to Joe Miller, who was recently awarded the Bill Huntley American Outdoor Leadership of the Year Award. The Legends of the Outdoors National Hall of Fame Banquet and Induction Ceremony was held this past Saturday in Nashville aboard the General Jackson Showboat. We couldn't imagine a more suitable candidate for this award than Joe! Congrats to Coosa Composites for being featured in the August issue of Pontoon and Deck Boat Magazine as an EXCELLENT alternative to the traditional material being used in pontoons - plywood. (gasp!) Did you know Coosa Composites' panels don't absorb water? Are 40-60% lighter than plywood? Are mold, mildew and insect resistant? Can be painted, laminated or spray coated? Need we say more? Click HERE to read Coosa's article. Who is that lurking between the posts and in the shadows of Nashville's busiest and most visible intersection? This is the temporary home for our Gypsy Jamboree as it undergoes renovations in preparation for the upcoming fall and winter season! Congratulations to ORA Design Group on celebrating their 10th anniversary! Located in Wichita, KS, ORA Design Group was established in 2008 with just 6 team members - 5 of whom still work for the company. While starting a new business during the recession is never an easy task, ORA Design Group today enjoys 25-30% growth annually. ORA not only provides graphics to the marine industry, but has also ventured into the RV and trailer markets. ORA is continuously looking at new technologies that will help expand their product assortment, as well their customer base. Jason Laub, President and Owner of ORA Design Group, stated, "We are excited about the future and the relationships we have developed with our customers as well as everyone at William F. Miller & Associates. 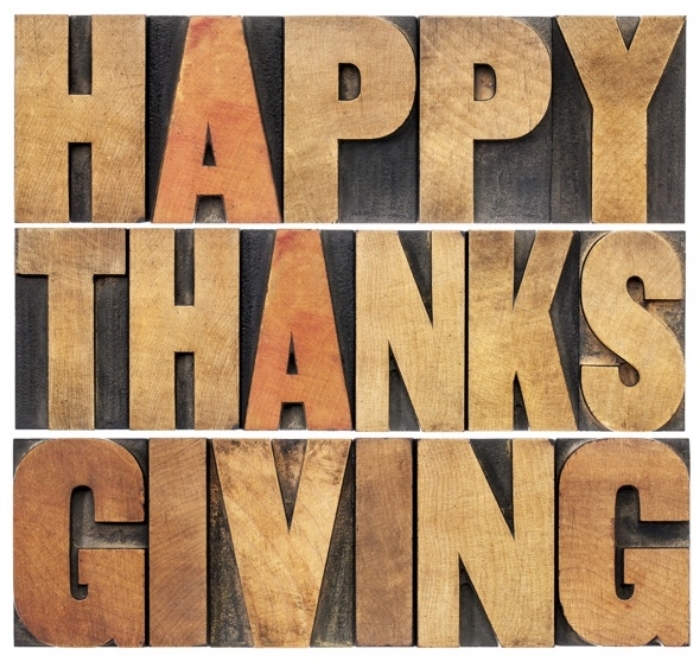 I would like to thank all of our customers for their continued support of ORA Design Group. It has been a great 10 years and I look forward to building even stronger relationships with everyone over the next 10 years!" We share in your excitement, Jason! 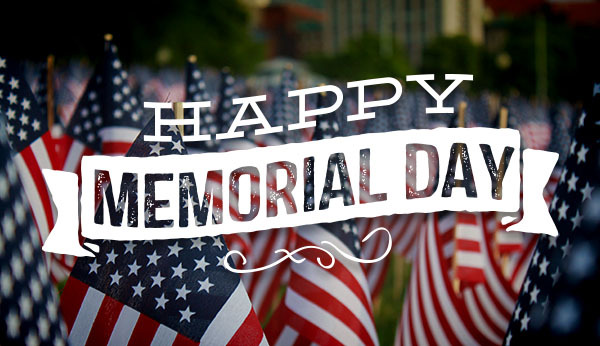 We will be closed on Monday, May 28th in celebration of Memorial Day. We would like to thank those who have fought and continue to fight for our freedom. Help us welcome OceanGrip to our factory line-up! BIG SKY PRECISION is growing! They are moving to a larger building and adding 3 new machines by the end of the summer. Anyone interested in moving to beautiful Montana? Breaking news! We are excited to announce a reorganization of our Customer Service Team! This step has been taken to enhance our customers' agency experience, while further developing customer and factory relationships. Kimberly Althaus (whom most of you already know!) has been with the agency for 18 years in a Customer Service capacity. She will be handling those customers belonging to Bob Turner, Hayes Ragan, Jim Parke, Wylie Jones, Keith Drahman and Rogers Caldwell. She can be reached at kalthaus@williamfmiller.com. Shannon Hill has been with William F. Miller & Associates and served as our CRM Manager for the past 6 years. She has just recently joined our Customer Service Team, and will now handle customers belonging to Dan Field, James Dade, Parker Bacon and Paul Rieger. She will still handle our CRM administration. She can be reached at shill@williamfmiller.com. Please join us in congratulating these ladies on their new sales teams! Good luck to those competing in this weekend's Geico Bassmaster Classic on Lake Hartwell in Greenville, SC! Stay updated by visiting the official website at: www.bassmaster.com! Congrats to Florida Marine Tanks for being the recipient of the IBBI's 2017 Supplier of the Year Award! Florida Marine Tanks is an invaluable partner to our agency, with an impeccable supplier track record. If you haven't experienced Florida Marine Tanks yet...you need to give them another look! Angler's Bootcamp - The Basics of Saltwater Fishing. Who's ready? Coming soon to a location near you...T-H Marine's innovative new LED trailer! Experience all things LED - stay tuned for further details! Registration for ICAST, the world's largest sportfishing trade show, is now open! Visit www.icastfishing.org for more details! E-520) for your own Auto Glide demo ride! The future of trim tab technology awaits you! Great News! Our factory partner, Gator Guards, has signed 3 new FLW tour pros to their roster! Amazing marine products deserve an amazing team! Due to inclement weather in the middle Tennessee area, our Nashville office will be closed today, 1/12/18. William F. Miller team members can be reached on their cell phones. Scout Boats is sharing the wealth with the new federal tax reform law by providing a bonus incentive plan to his hourly employees! Way to go Founder, CEO and friend Steve Potts! Click HERE to read Scout's full press release. Our industry has been blessed this year with abundance. The Christmas Season gives us all pause to celebrate the season and visit with family and friends. May we wish you and your family the very best and a bountiful start to 2018. Congrats to our own Shannon Hill as she joins our Customer Service team, as well as maintaining her current role of CRM Manager. Shannon is no stranger to providing great customer service, and she is excited to get to know even more of our customers! Shannon will be handling customer related activities effective immediately. Please help us welcome Shannon to her additional role! IBEX is ON, and we are excited for another incredible show! Be sure to visit us in booth #218 while you are at the Tampa Convention Center next week. Did we mention we have a new IBEX isplay? Come check it out- we'd love your thoughts! We are pleased to announce that Florida Marine Tanks, the known experts in the fuel, water and holding tank business, is joining our factory portfolio! Your William F. Miller Sales Rep will be introducing you to this new line on their next visit. In the meantime, please call our office with any questions you may have, or visit www.floridamarinetanks.com to learn more! Check out our new neighbors that will be joining us on Music Row in Nashville! We will now have a new place for our visitors to stay! Hayes was recognized by T-H Marine with the "Outstanding Sales Achievement" award for an increase in sales through strong relationships with his customer base and superior communication with factory personnel. Hayes is one of the most dedicated reps in the field, and is very deserving of this recognition! MotorGuide is again offering their CASH BACK program for 2017. Purchase a qualifying MotorGuide motor until July 1,2017 and get your cash rebate! For more details and to complete your online redemption form, visit www.motorguiderebate.com. C & M and Rough Water. Be sure to check out their website to view their entire product offering at www.cmmarineproducts.com! and has been an exhibitor in the USA Pavilion at METS. “We are honored to receive this recognition,” says Sue Smith, President & CEO of Gator Guards. "When we first started our business in 1994 we concentrated on the U.S. market. However, we began to get very strong indications around 2012 that we needed to take a serious look at our overall international strategy. With the assistance of a number of organizations, including the teams at the Small Business Development Center (SBDC) International Trade Center, the IL Dept. of Economic Commerce & Economic Opportunity, US Commercial Service and the National Marine Manufacturers Association (NMMA), we have been able to find new opportunities for growth abroad. Since we began focusing on exporting in 2013, we have seen international sales grow annually and believe they could meet or exceed our domestic sales in the next 5 years. Because we think it is important, all of our products are sourced and made in the USA." We are proud and honored to represent Gator Guards (www.gator-guards.com) in our territory and to have Sue Smith and her crew as factory partners! PRESS RELEASE NASHVILLE, TN (JANUARY 15, 2017) – William F. Miller & Associates, the country’s leading marine Manufacturers’ Representative agency, celebrates their 60th anniversary this year of business in the marine industry. Check out this great video from Gator Guards on an innovative new product they offer! Our Gypsy Jamboree was recently recognized in the local Aransas Pass, TX, newspaper! Thanks for being such a gracious host, Chris Coulter of Chris's Marine, and for the great press, TX! A big "thank you" goes out to all NMMA Conference attendees that braved the rain and came to our cocktail party at the Tin Roof on Broadway on Monday evening! This year's event had a different twist with live honky tonk music and some serious southern food! 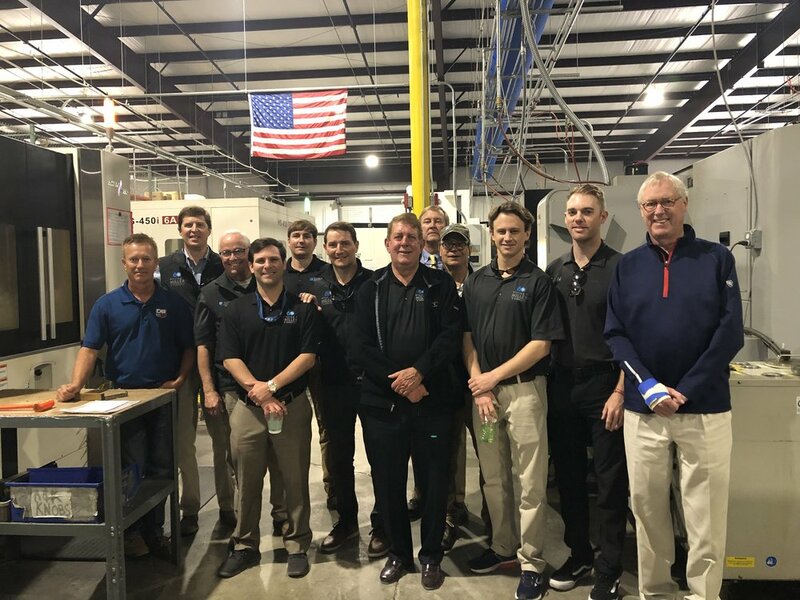 Thank you to our factory partners (ASA Electronics, Barbour Plastics, BH Electronics, Birdsong Adhesives, Coosa Composites, Fiber Pad, Fireboy-Xintex, Gator Guards, Great Lakes Mfg., Lenco Marine, Magnum Energy, Metal Moulding, Moeller Marine, New Century Products, ORA Design, PRO Charging Systems, T-H Marine and Zone Enterprises) for helping to make this annual event possible! A big congratulations goes to our long time friend and factory partner, Johnny Thomerson of Lenco Marine, for winning the NMRA's Mel Barr award at IBEX. The award recognizes an individual who has contributed to the improvement of the industry and is named in the memory of marine rep Mel Barr, one of the founders of the NMRA. Thomerson began his 44 year career at Dougherty Marine while still in high school. Quickly rising through the ranks, he assumed a broad range of duties in his 19 years at the company, but naturally settled into sales. For 16 years, he worked at 2 different marine rep groups before joining Lenco Marine in 2007 as their National Sales Manager. Throughout his career, he has honed his sales and negotiation skills, and forged lasting relationships. 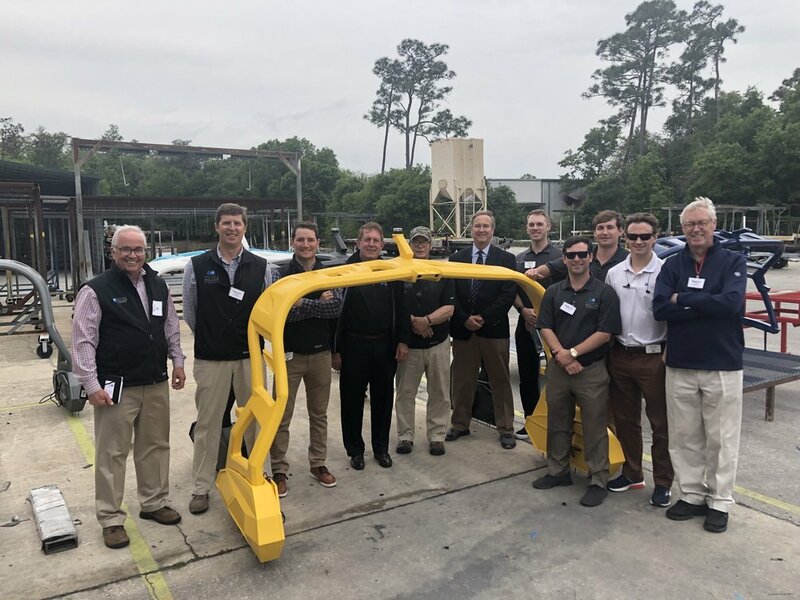 "Johnny Thomerson is renowned throughout the marine industry," said Jonathan Sweet, editor-in-chief of Boating Industry Magazine, during the presentation. "His integrity and professionalism are highly regarded." We couldn't agree more! Our customers and our agency thank you for your partnership, Johnny! Just a reminder to SAVE THE DATE for our annual IBEX Cocktail Party we hold in conjunction with our factory partners for the customers in our territory! This year's event will be on Tuesday, October 4th from 6-9:00 PM at Jackson's Bistro in Tampa, FL. Official invitations will go out via email early September. We can't wait to have you join us for yet another fabulous party! We are pleased to announce that Joe Miller and James Dade were awarded a 2016 Outstanding Vendor Partner Award from Chaparral / Robalo Boats this past week at their annual dealer conference. Our relationship with Chaparral / Robalo Boats and Mr. Buck Pegg has been a long standing one, and we truly value his partnership in the marine industry. Thank you, Chaparral Boats! Congratulations goes out to Bel-Ray Marine for winning the NMDA Supplier of the Year award! They also won the NMDA award for Best Packaging and Best Marketing Philosophy. It's an honor to be partnered with incredible companies such as Bel-Ray Marine! Our city is FILLED with wonderful places to eat - hip and trendy, comfy and casual, exquisite and elegant. We had fun making this list for one of our customers that will be visiting Nashville, and looking for some "unique" local places to dine. We thought we'd share this list with you as well. Bon appetit! Look what our own Parker Bacon is up to! He is traveling around our sales territory visiting dealers with his "rigged out" trailer, filled with the latest and greatest items from each of our factories. He is cultivating relationships with these dealers, while demonstrating and educating them on the products our factories have to offer. We are thrilled to have Parker in this role...he'll be coming soon to a dealer near you! Please help us in congratulating T-H Marine for their latest acquisition - Tonka Customs, LLC of Mound, MN. Tonka Customs manufactures the WAVE TAMER bow sonar mount. The Tonka Customs Wave Tamer Deck Mount is made to work in almost all of today’s bass boats with either a stock or aftermarket recessed trolling motor foot control and available in three anodized finishes, blue, red and black. All Wave Tamers come with a universal hole pattern perfect for mounting both Humminbird and Lowrance units alike. Save the date! We will be hosting our annual IBEX cocktail party this year on Tuesday, October 4th, 2016. Mark your calendars and plan on attending the greatest party held during IBEX! Congratulations to Forespar Products, one of our loyal factory partners, on their 50th anniversary this month! With modest beginnings, Robert Foresman founded Forespar Products Corporation in April 1966. He unveiled the company's first telescoping whisker pole designed on the family dining room table, where it was then manufactured in the family garage. As they say...the rest is history. Thank you to Forespar for our long-standing partnership and dedication to the marine industry! Congrats to our friends and partners at Lenco Marine for winning the IBBI Supplier of the Year - for the second year in a row! Congratulations to our long time friends and business partners, Rick and Ken Garelick, on receiving the coveted Alan J. Freedman award at the Miami Boat Show! We can't think of two more deserving gentlemen than these two for their contributions to the marine accessories industry. Thank you for your partnership, Rick and Ken. We are honored to do business with you and your outstanding Team. Joe Miller and Parker Bacon were among the exhibitors at Boyd's Marine Open House in Dothan, AL, this past weekend. Other notables attending were Earl Bentz of Triton Boats, Bill Huntley of T-H Marine and....Mountain Man of Duck Dynasty! Joe and Parker had the opportunity to showcase several of our factories and their products to over 100 customers. 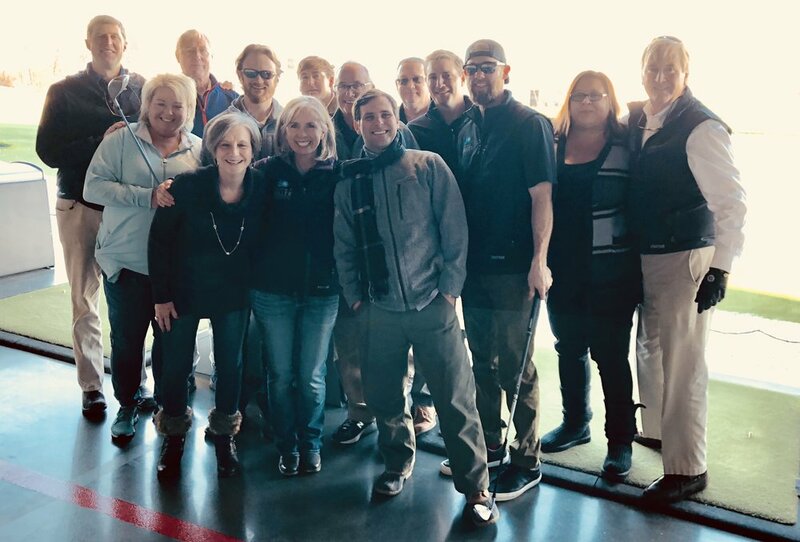 These dealer partnerships will only continue to grow as Parker takes the lead in our dealer networking efforts. Way to go, Parker!